The latest attempt at rebooting the Terminator series, Genisys picks up from T2, completely ignoring the two more recent movies. 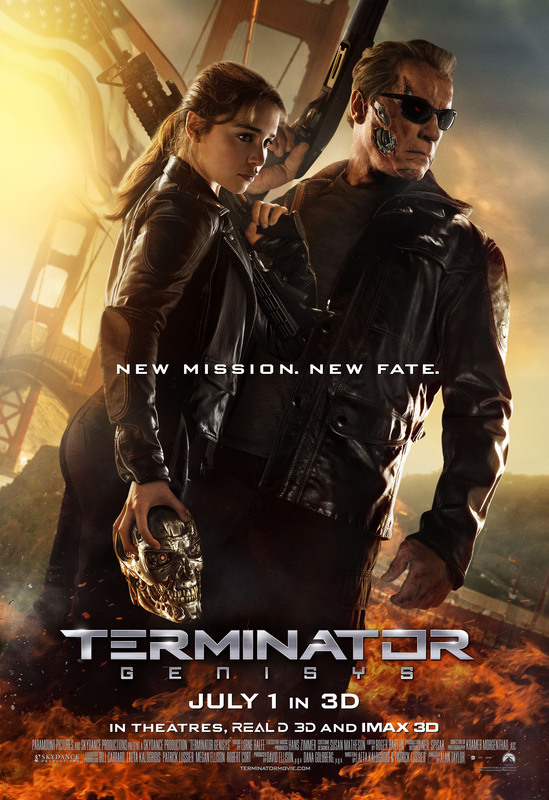 Starring Arnold Schwarzenegger, Emilia Clarke, Jai Courtney and Jason Clarke. Project Almanac examined in detail a handful of scenarios as a bunch of teenagers tried to rectify their own mistakes when dabbling with their recent real life disappointments. The Time Traveler’s Wife centred more on the emotional effects on a relationship and how time itself impacts on love. Predestination wove a fascinating web of intrigue and kept the audience guessing through the length of the movie, ultimately revealing a truly shocking but inspired twist to end all twists at its conclusion. 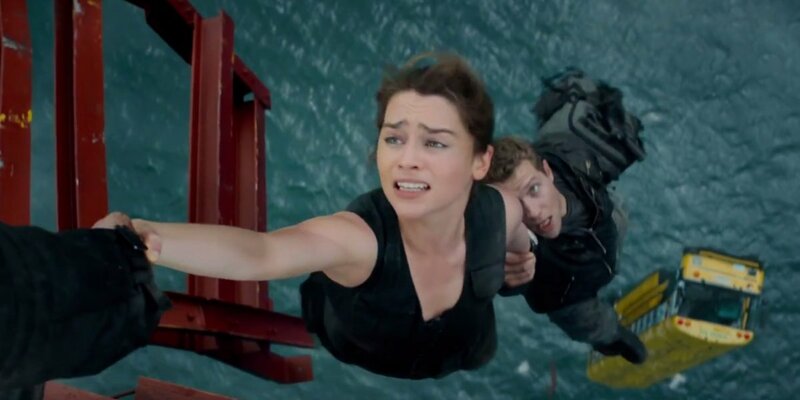 So, what of Terminator Genisys ? Well, from a script point of view, the movie is pure gobbledygook. Do not watch TG hoping for well-balanced, plausible Wellsian analysis or insight. Whenever the subject comes up – for the most part, early in the movie, thankfully – it’s best just to put your fingers in your ears and go “lalalalalalalalalalalala” until the next explosion. If you attempt to follow any of the actual timeline premises you’ll tie yourself in knots. Now sit back and enjoy the ride. Once the initial set-up is out of the way, we discover that the previously vulnerable Sarah Connor – a mild, timid waitress in the original version – is now a ballsy, switched-on Tank-Girl-on-steroids. Played fittingly enough by Game Of Thrones‘ Daenerys herself, Emilia Clarke, she’s already a few steps ahead of her would-be protector, Kyle Reese (Jai Courtney) in that she knows what was supposed to have happened thanks to her existing guardian, “Pops” – or Arnie, as we like to call him. Having been by her side ever since her parents were killed while she was still a small child, the T-800 has been looking out for her ever since. From hereon in, the story gets ever more twisted and convoluted, borrowing heavily from Terminator 2 in that there’s not one, but two shape-shifting later models shadowing Sarah, hunting her down while the hapless “old, but not obsolete” Pops and the human, Reese, attempt to keep her safe. There’s another jump in time, a lot of waiting around for Pops in the meantime – which he puts to good use building a bunker stocked with a massive arsenal – and then we’re on to the home strait with the aim being – as ever – to put an end to Skynet’s dastardly plan to take over the world and rid it of all humanity once and for all. In truth, this is a distinctly average action caper. As you might expect, there’s some superb CGI work – especially during a fight between two versions of the T-800 early on – lots of set pieces, a decent car/bus chase across the Golden Gate Bridge and loads of bonkers tech stuff for the nerds. There is one saving grace, albeit a fairly small one: the humour in the script. The tension between Reese and Pops is more than palpable – it’s writ large for the most part and as the former’s closeness with Sarah ramps up through their various mutual scrapes, the latter becomes ever more distrustful. The light relief comes not only in the dialogue between the three of them, both as a group but also in one-on-ones, but also because Connor has been training her pet Terminator to “blend in” over the years. 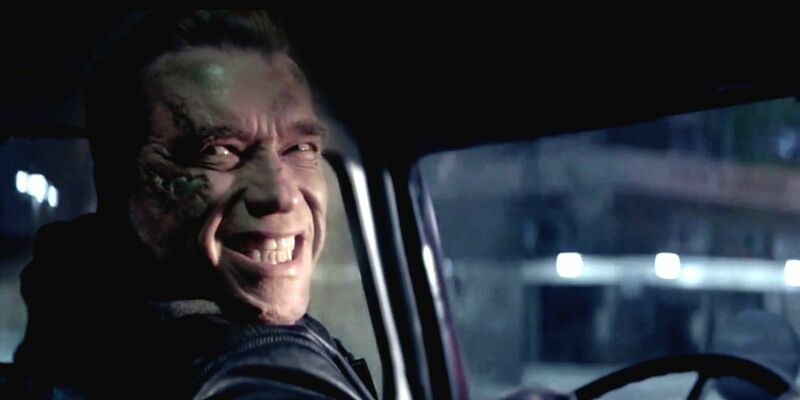 His attempts at an ingratiating smile are hilarious and sees Arnie playing up his comic potential for the first time since Twins. Schwarzenegger also gets some killer one-liners. Of course, some of them are obvious – the “greatest hits” from the first two movies – but there’s a number of others that are genuine laugh-out-loud moments, which is surprising given the overall earnest feel of this picture. 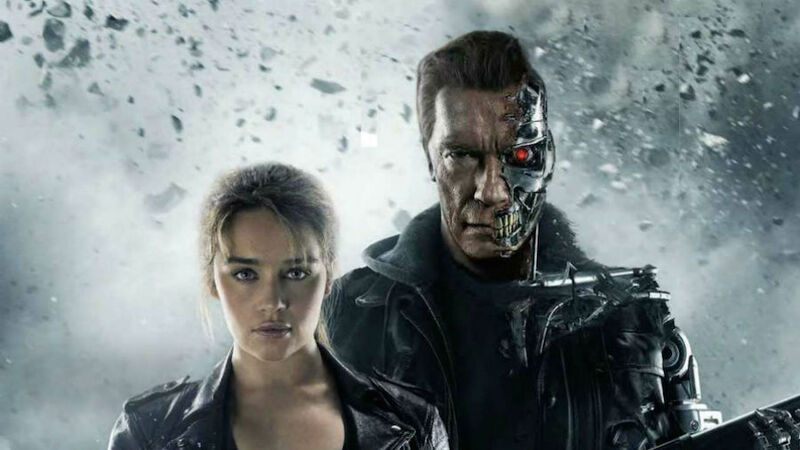 All in all, Terminator Genisys is a watchable popcorn flick, but nothing more. It’s no better than T3, slightly better than Salvation, but nowhere near – not even in the same league – as either the superb original or its flawlessly superior sequel.